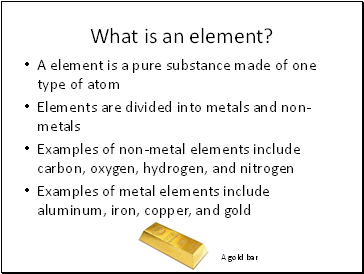 Examples of certain chemical elements. 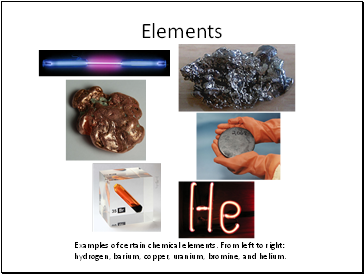 From left to right: hydrogen, barium, copper, uranium, bromine, and helium. 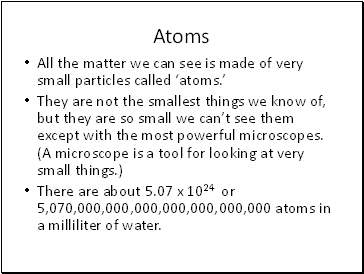 There are about 5.07 x 1024 or 5,070,000,000,000,000,000,000,000 atoms in a milliliter of water. 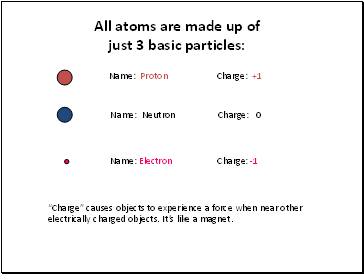 “Charge” causes objects to experience a force when near other electrically charged objects. It’s like a magnet. 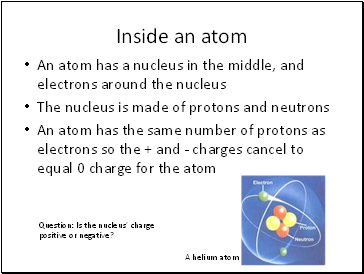 Question: Is the nucleus’ charge positive or negative? 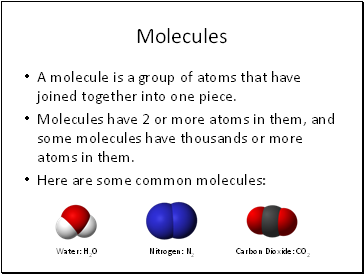 A molecule is a group of atoms that have joined together into one piece. 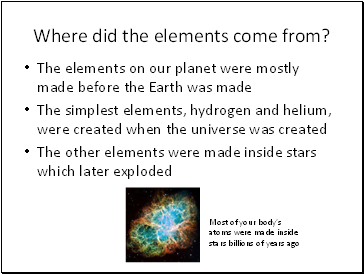 Molecules have 2 or more atoms in them, and some molecules have thousands or more atoms in them. 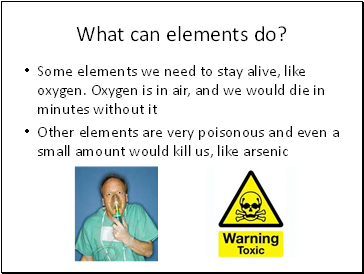 Table salt: Friend or enemy?